New MLS season, same old Zlatan Ibrahimovic. The decorated Swede has continued to display his typical antics in the United States, lighting the league up in the process. 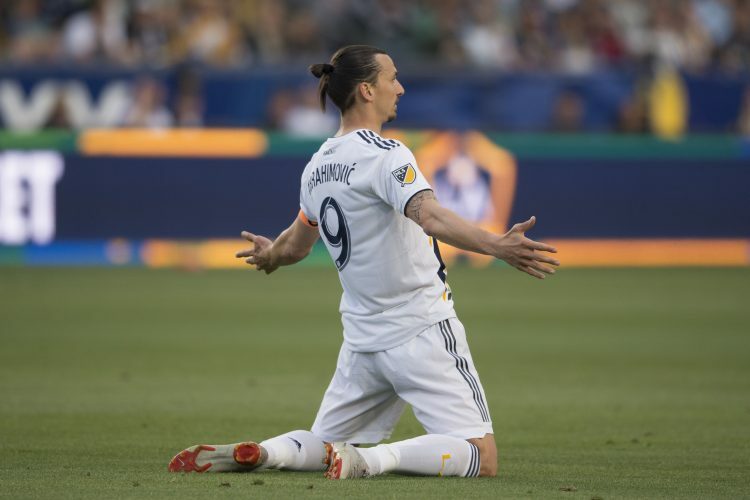 The star forward was involved heavily during LA Galaxy’s recent encounter against Portland Timbers, with his two goals from the spot helping his side secure a 2-1 victory. While his first penalty was smashed in straight into the bottom left corner, it was the second that caught the attention of one and all. Ibrahimovic hit a cheeky panenka to humiliate the opposition goalkeeper in the second half, with this confident strike eventually proving to be the decisive match-winner. Earlier in the same match-up, Zlatan was also seen meeting an incoming cross with a trademark standing overhead kick, but fortunately for the opposition, the sensational shot only ended up hitting the post. Having seen his antics against Portland, LA fans would be pleased that their talisman was able to play the game in the first place, as Zlatan was initially a doubt due to fitness issues. Ahead of kick-off, the 37-year-old had admitted (via Sky Sports): “I felt tightness [in my Achilles] and it was growing and it was painful, but I kept playing because I had too much adrenaline and because I knew I would score, so I didn’t want to step out.